City High Baseball Players had the opportunity to represent themselves and the program in various national level tournaments this season. 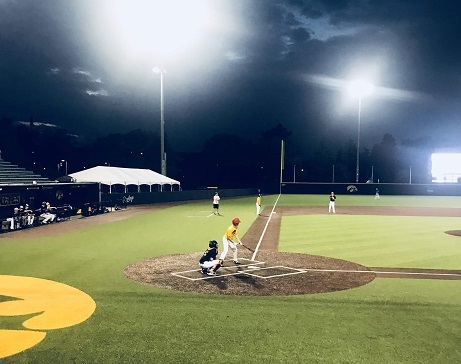 As a program we recognize these opportunities create a great experience for players and families and are extremely valuable for opening future opportunities. 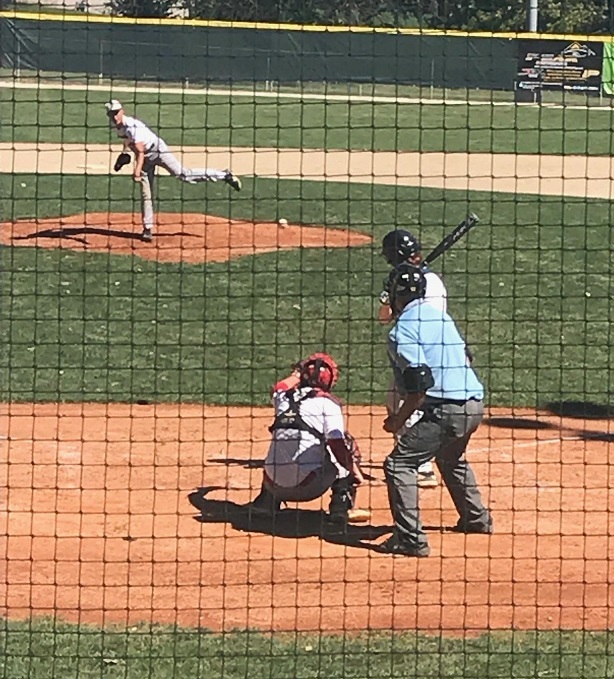 This fall 2019 DJ Heck played on the PG Iowa Select team playing in many tournaments including recently in the PG World Championships in Jupiter, Florida. DJ hit in the middle of the lineup for Iowa Select. Check out his single on a 90 MPH fastball! 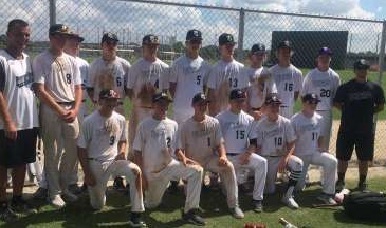 John Klosterman represented the Iowa Select 15U in West Palm Beach, Florida in the WWBA Freshman World Championships. Klosterman pitched against the Ostingers 15U out of Florida going four innings giving up one earned run. 2021 Ben Cooper played on the Perfect Game Select Black team and participated in the PG Sophomore World Championships in Fort Myers, Florida from October 12-15th. Cooper played right field and helped his team to a 4-1 record. 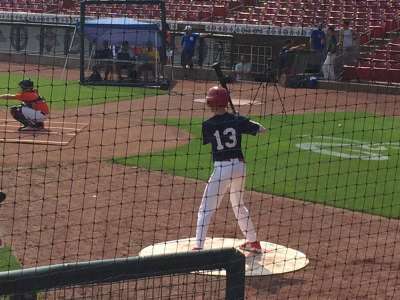 Cooper had three hits during the tournament against very high level competition. Cooper is #15 below. 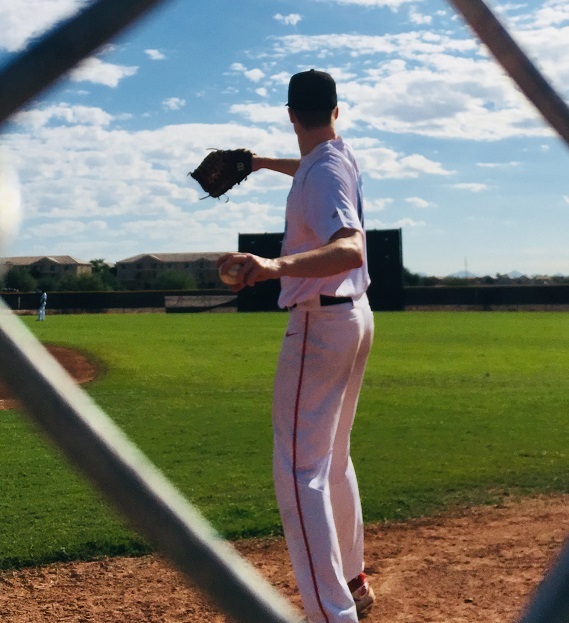 2019 Ry Threlkeld-Wiegand pitched in the PG Fall Upperclass National Championships in Phoenix in September. RTW pitched 3 innings against GBG Marucci and which his team got the win. 2020 Jackson Ernst also had a good fall playing on the Perfect Game Select Royal team. 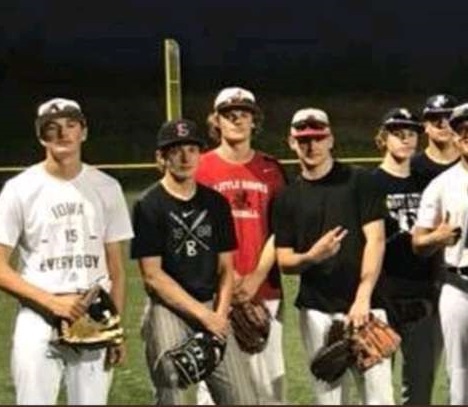 2020 Garet Cotton (3rd from left) and 2019 Brady Herzic (4th from left) played in the Sticks Fall League and played regional competion. 2019 JD Alberhasky and 2022 Gavin Koch played in the PG fall league developmental program. In addition Alberhasky played with the Team Max Bat National Team this fall having success in multiple national events. Alberhasky is catching in Omaha. 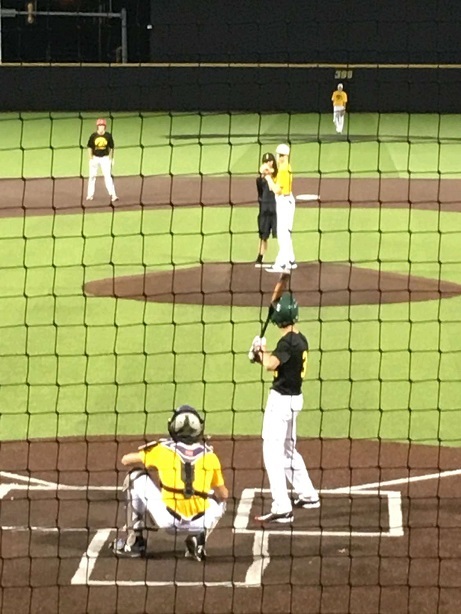 2020 Reese Hayden, 2020 Garrett Bormann, 2020 Levi Sherod, 2021 Jacob Means and 2022 Grant Ernst all played in the Iowa Baseball Fall League. This league was played Sundays at Duane Banks Field. (Below) Hayden is pitching to Sherod who is at catcher. (Below) Garrett Bormann up to bat. (Below) Jacob Means up to bat. 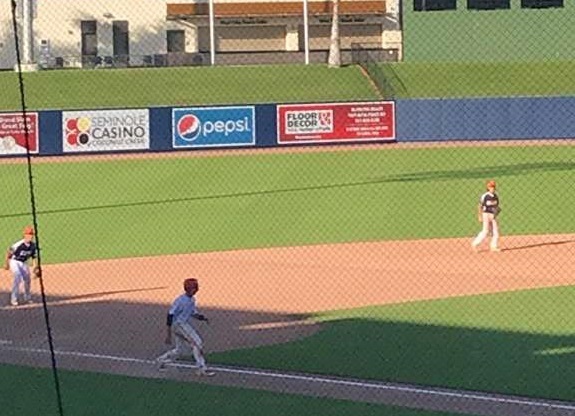 (Below) Grant Ernst running the bases. 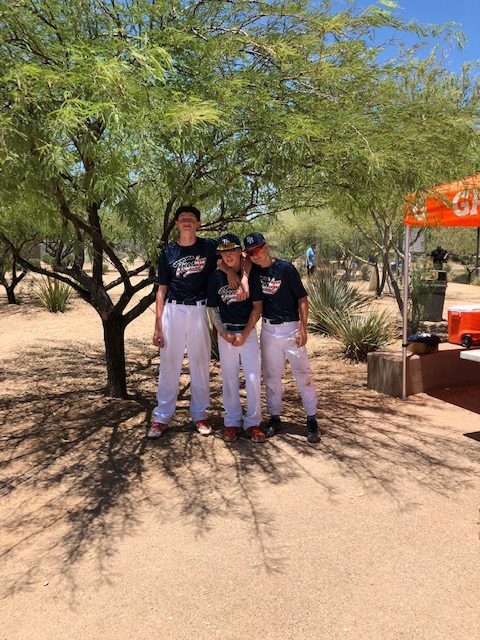 This season three Little Hawks participated in the USA West Championships over the week of the 4th of July playing for the Trosky National Team. 2022 Joey Bouska, 2022 Jay Kennedy and 2022 Gable Mitchell helped the team to a 5-1 record. In Kennedy’s only start he went 7 innings giving up one earned to Dykstra Baseaball earning the 2-1 win. Mitchell hit .429 in four games played while playing middle infield. Joey Bouska caught well in several games. Kennedy also led the tournament in batting average, going 1-1 beating out an infield single! 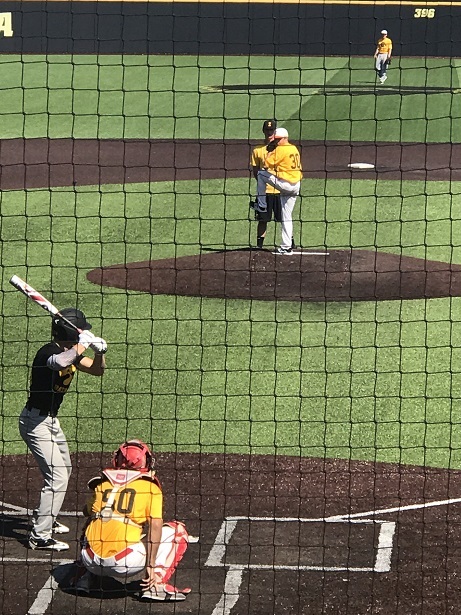 In July, Gable Mitchell﻿ played in the Perfect Game World Series in the LakePoint Complex in Cartersville, Georgia. 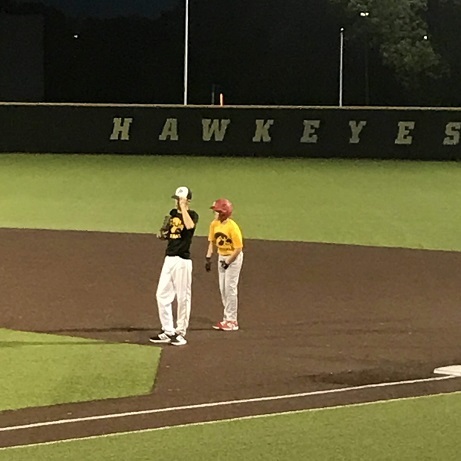 Gable played with US Elite against some of the best competition and hit leadoff and played middle infield much of the tournament.